The Governor of Edo State, Mr. 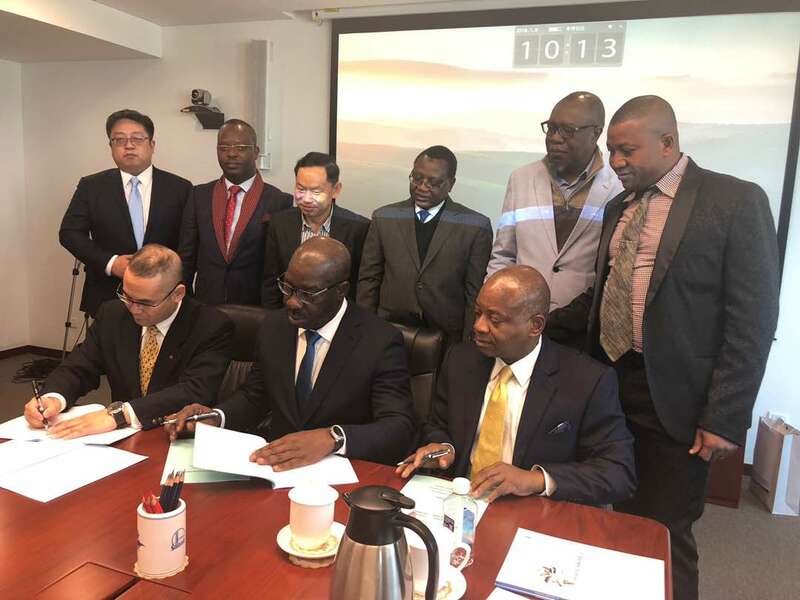 Governor Godwin Obaseki, on Wednesday in China, expanded the portfolio of foreign investments in the state following the signing of a Memorandum of Understanding (MoU) with a Chinese consortium for a 5,500 barrel per day modular refinery in Edo State. The event is coming hours after a similar MoU was signed with China Harbour Engineering Company Ltd. in Beijing, China, for the development of the Gelegele Seaport in Edo State. The Chinese consortium that will handle the modular refinery is made up of Peiyang Chemical Equipment Company of China (PCC), a world leading modular refinery company; Sinopec International Petroleum Service Corporation (SIPS) which is a subsidiary of Sinopec, the top Chemical giant in the world and African Infrastructure Partners (AIP), a Nigerian Infrastructural company. The demonstration refinery will serve as proof of concept and to train the indigenes in the management of the refinery.